Just because you age doesn't mean you are getting old. Bodies might grow older but souls only mature. Don't let your fear of your physical body aging grow like barnacles on a ghost ship. If you can stop carrying around the years of your life like a heavy weight on your back, you will become light and ageless. Ahimsa is "not to injure". Satyagraha is "holding onto truth". Recently, an old friend of mine, Keith Whittingslow, passed away. Especially sad for me since I had not kept up with him during the past fifteen years. 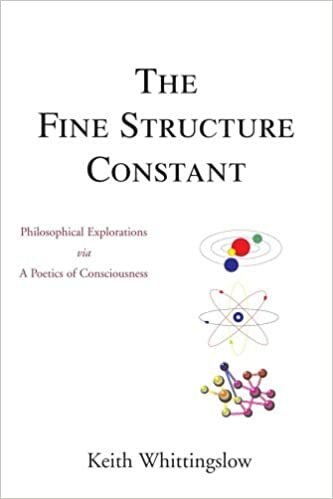 He sent me a copy of his book: The Fine Structure Constant. This book is a fine blending of science and poetry. His poems are experiments expressing the beauty of the science that he loved. I encourage you to visit the Amazon web link to his book; it includes sample pages of his book. I was truly honored to have crossed paths with Keith in my lifetime. "This is what you shall do; Love the earth and sun and the animals, despise riches, give alms to every one that asks, stand up for the stupid and crazy, devote your income and labor to others, hate tyrants, argue not concerning God, have patience and indulgence toward the people, take off your hat to nothing known or unknown or to any man or number of men, go freely with powerful uneducated persons and with the young and with the mothers of families, read these leaves in the open air every season of every year of your life, re-examine all you have been told at school or church or in any book, dismiss whatever insults your own soul, and your very flesh shall be a great poem and have the richest fluency not only in its words but in the silent lines of its lips and face and between the lashes of your eyes and in every motion and joint of your body." 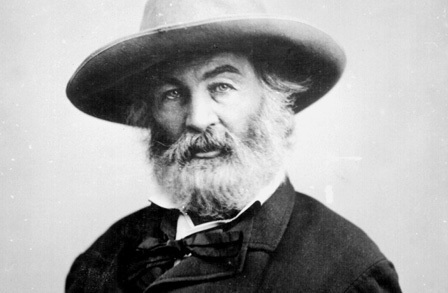 "This is what you shall do..." by Walt Whitman, from the preface of Leaves of Grass. Public domain. It's inside-out; as within, so without. Nonviolence is not-harming; it's what we don't do, not what we do. There's vast spaciousness in allowing things to be what they are short of violence. Nonviolence reminds me of the Taoist idea of "doing not doing"; by not-harming, by being nonviolent, we are going with the flow of life. The term "peace", however, is more limiting. It implies specific institutions and actions such as talk of "peace keeping armies". Nonviolence is one of the most ancient of great ideas: "ahimsa" - the Sanskrit word meaning "not harming" in the old Jain religion of India and later in the Vedic, Hindu, and Buddhist scriptures. Furthermore, we find strong suggestions of nonviolence in the ancient Jewish and Christian scriptures. Indeed, the earliest Christians would not fight in wars. In the mid twentieth century, "nonviolence" was a political strategy. We see scenes of mass demonstrations for Indian independence from the British, U.S. black peoples' civil rights protests in the deep South, and grape boycotts to secure rights of migrant farm works. While teaching nonviolence at the University of California, Berkeley, I became clear that nonviolence as protest is too narrow. Now, I sometimes use the term "deep nonviolence" to point to nonviolence at the root level -- where constructive actions naturally arise. This especially addresses the deep crisis between the whole of humanity and all other life on earth. The violence of humans upon the earth and it's living forms is now apparent. Deep nonviolence looks upon all our actions that may, can, and do harm life on earth. By working toward eliminating such actions (at all levels), we allow the earth to heal, to return to it's natural state of harmony and health; just as we can allow our bodies to heal of themselves by not harming them with drugs. Nature wants to be healthly; people want to be at peace. Remove the harming, and the rest takes care of itself. Ghandi speaking on nonviolence in his early career. see how brightly you can shine! Much truth and sadness and paradox in this tune. This video of Carl Jung was recorded at the tail end of his life. He says important things about death. Please listen and look carefully. This is a man who is mindful; who is speaking to what little can be said about an almost unspeakable subject. Thinking about being is not an everyday act for us. Instead, we tend to become absorbed in a wild chorus of events, appointments and emotional disturbances. Contemplate being long enough and your life will be transformed into joy unattached to any particular experience. This is like being in love without a lover. The love is just there without dependence on the presence or absence of an external party. The joy of being comes to us as we still the desiring aspects of mind. For so long as we are "ahead" or "behind" ourselves, we are not "here now" to experience the full intensity, wonder, and mystery of existence itself. The quality of our action in life depends on our day-to-day connection to our source, our being. The sense of "I am". Terms such as "God", "infinity", "totality", and "existence" seem to refer to something in common. It is as if they commonly map a certain feeling area of the brain. But "brain" is itself an idea that is secondary to Being. Being contains "brain". We lose ourselves in what is "expected" of us in what we "must do". Eventually, even the very thought of being is lost to us. Anyone who becomes committed to the attainment of self-knowledge has a journey to take back into their own heart. In part, it is the "downward path" from the head. In another part it's a "stepping back" from desire, frenzy and activity. Look at a wall and fall into wonder that it exists! This is the radical perspective. Our root experience is our deep felt sense of existence, being, or sense of "I am". Being is not passive, being is the stillness within all the process. Being is the eternal within the temporal. It is, in the words of T. S. Elliot, "the still point of the turning world".